THEY WILL NOT BE FORGOTTEN, WILL THEY? Private Brown, Nathaniel F. enlisted as a private in Company E, 34th Alabama Infantry. Born Apr 25, 1842, died Apr 17, 1908. 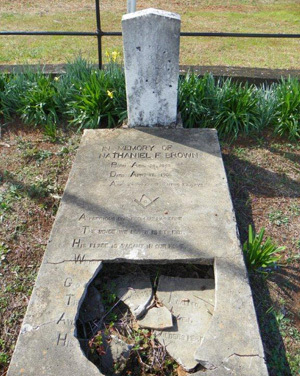 Private Brown is buried in the Brown Family Cemetery, Highway 280, Dadeville AL, in Tallapoosa County. 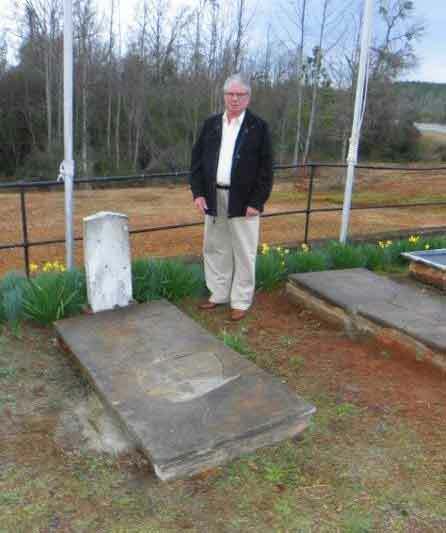 SCV General Robert E. Lee Camp #16 Auburn Al Area has adopted Private Brown’s Family Cemetery with the Approval of the Land owner Mr. Carl Pritchard. 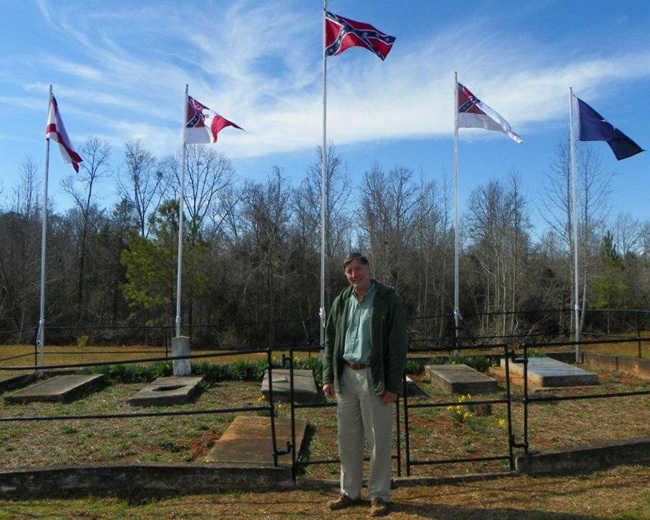 Mr. Pritchard and the Robert E. Lee Camp has started the restoration of the Cemetery by clearing the area, planting grass, painting the Rail Fence, restoring the flag poles, adding new pulley’s, ropes and Flags. 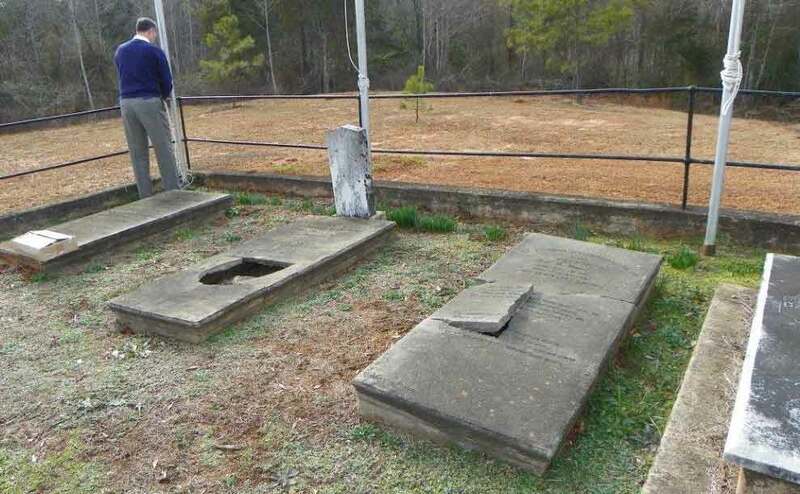 The next project the Camp anticipates is to restore Private Brown’s Grave and CSA Marker which is in dire need of restoration as you can see in the picture. Commander Jerry Purcell and Adjutant/Chaplain Dave Crosslin met with Carl Pritchard to view the new flags, to discuss Restoring Private Browns Grave and to add markers to at least two unmarked graves as soon as funds are available, depending on contributions and support. from the intersection of highway 29 and highway 280, in Opelika Alabama. Brown Family Cemetery is directly across from the Alabama Funeral Homes and Cremation Centers and Tallapoosa County Memory Gardens. The Brown Family resided on a large plantation which stretch from the Dadeville city limits to the cemetery. 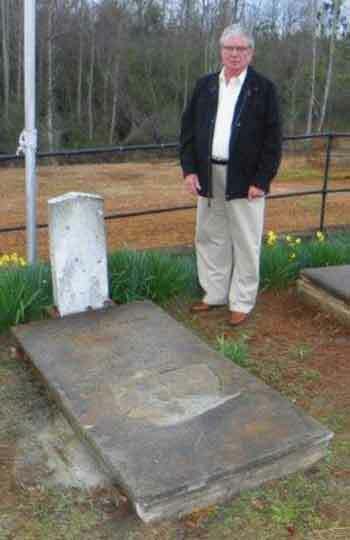 The cemetery land is now owned by Carl Pritchard, the owner of Alabama Funeral Homes and Cremation Centers and Tallapoosa County Memory Gardens, who designated the land around the Brown Cemetery to be the future extension of Tallapoosa County Memory Gardens. Six graves are marked, but the enclosed fenced area made of old iron pipe looks to have 12 graves total. The story of the brown family. There were 7 brothers who went off to fight in the war between the states. Five brothers died in the war and two brothers returned. The link below explains the importance of cemetery restoration projects. If you want to learn what the Texas Historical Committee can teach us about cemeteries, how to clean markers, preserve stone and how it helps to retain our heritage, click on the link below.